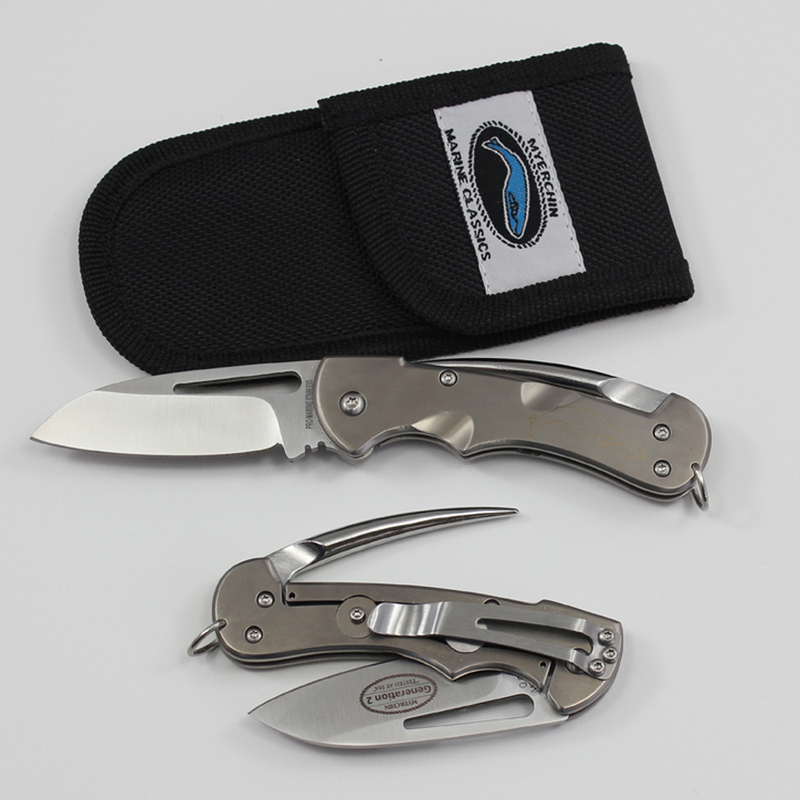 Our newest design for the seaman who wants the absolute finest rigging knife available. Crafted from corrosion proof TITANIUM and German Marine Stainless Steel. The Pro-grade German Marine stainless that we use is comparable to 440C for hardness and edge-holding properties with additional anti-oxidation elements added for the final crafting of our knives. Extreme strength and light weight. The Generation 2 Series features our advanced, springless locking mechanism (securely locks blade, spike, or both) / Includes Cordua nylon sheath / belt (pocket) clip / Serial Number / One hand open / Traditional Blade. Built on our new heavy duty BF300 Frame, this is a knife that will easily last a lifetime... or two. Light weight makes it an ideal money clip.